Using 15-20 second rest intervals will limit the amount of weight you can use, but that's ok. Initially, there will be a large drop in your normal training poundages. Most people will need to reduce their normal 8 rep max by about 40% to successfully complete 8 sets with such brief rest intervals. For example, if you normally perform dumbbell flyes with 55 pounds for 8 reps with a 60 - 90 second rest interval, you're going to have to reduce your weight to about 35 pounds to successfully complete 8 sets of 8 with 15-30 second rest intervals. As you become more conditioned, it will amaze you how much weight you will be able to build back up to while maintaining the short rest interval. 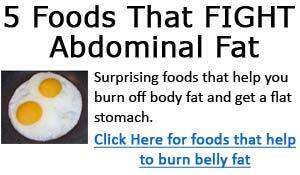 Amazingly, you may even get close to your original poundage. At this point, some serious growth will begin to occur. Proper weight selection is critical. The first workout should be made intentionally easy. If you attempt too much weight too quickly, you won't be able to complete 8 reps on the last several sets nor will you be allowing room for progression over a period of weeks. Vince cautioned that the same weight for all eight sets is imperative. If you fail on the sixth or seventh rep on the last set or two, that's fine, but if your reps drop below 8 by your 4th or 5th set, the weight you selected is too heavy. For the whole body or for body part specializing? 8 sets of 8 is excellent for body part specialization. You don't have to use 8 sets of 8 for the entire body. You can use it for ONE body part a time. For example, if your chest is lagging, you could do the 8 sets of 8 routine to specialize on chest and do conventional training for the rest of your body. If you decide to use 8 sets of 8 for large muscle groups such as legs and back, be warned: it's brutal beyond belief. 8 sets of 8 for compound, large muscle group exercises is extremely difficult because cardiovascular failure may limit your performance. Prepare to be huffing and puffing. You may have to start with longer rest intervals (about 30 seconds) and work down to the 15-20 seconds. Alternately, you'll could start with very light weights and build up gradually. Your exercises should be selected carefully to hit the aspects of each muscle you want to target the most. For example, if it's side deltoid and shoulder width you're after, you would select side deltoid movements such as side lateral raises and wide grip upright rows instead of front raises and military presses. Machines and single joint movements will be easier, but don't shy away from the big compound movements just because they're more difficult. As with any training program, the basic exercises will always produce the best results. 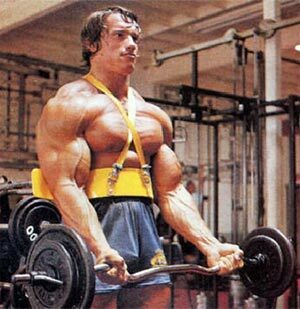 For example, if you want a massive back, think rows and chin ups, not one arm cable pulls and machines. 8 sets of 8 works as well for calves and abdominals as it does for any other body part. However, Vince was always partial to 20 reps for calves. He would often suggest staying with 8 sets, but keeping the repetitions at 20. Intensity: "training over your head"
Most of your sets will not be taken to failure, and none of them will be taken beyond failure. On your last set or two of each exercise, it's normal to fail at the 6th or 7th rep. When you can easily complete a full 8 sets of 8 reps, then increase the weight on the next workout. Although you won't be reaching failure on most of your sets, make no mistake - this is some of the most difficult training you will ever undertake. Training large muscle groups and doing multi-joint free weight exercises are especially difficult. You will face the burn of local muscle fatigue, the challenge of oxygen debt and the difficulty of maintaining mental concentration. 8 sets of 8 is a test of strength, endurance and mental toughness. Gironda called this "training over your head." At times, you won't be sure if you can go on, but once you start, you cannot stop. As a general rule, Vince suggested limiting your total sets to no more than 12-15 per body part. He said that if you can't get a workout in 12 sets, you're not concentrating properly. However, he also said there are certain occasions where this rule could be broken. The 8 sets of 8 program for the advanced bodybuilder is one of them. As far as how many exercises, Vince recommend anywhere from one to four exercises per muscle group, depending on the circumstances. For this particular variation of the program, you will perform 8 sets of 8 reps on two to four exercises per body part. Generally, you will aim for three or four exercises for large muscle groups and two or three exercises for small muscle groups. This is the way Vince had Makkawy do it when he was training for the Olympia. Vince was quick to point out that Mohammed was a "genetic superior," and that not everyone can handle this kind volume. The optimal number of exercises and total sets per muscle group will depend on your level of training experience, your tolerance to stress, and your recuperative abilities. The number of exercises per body part will also depend on what type of split routine you choose. The most important factor is to do only as many exercises as you can fit into the 45 minute time limit. What type of split routine? Vince advocated different types of split routines for various purposes. Sometimes he had his pupils train as often as six days in a row with each muscle group being worked three times per week! More often, Vince was partial to routines split two or three ways so that each muscle group was trained twice per week. He advised advanced bodybuilders to use a three-day split with 72 hours of recuperation between maximum-intensity workouts. These days it's more popular to split a routine four or even five ways. With a four or five day split, each muscle group is worked once every five to seven days. If Vince were around today, he would surely give me a verbal beating for saying this, but I've discovered that 8 sets of 8 works with nearly any split routine whether you work each muscle group once a week or twice a week. The important thing is to adjust your volume so you can observe the tempo and time limit rules. If you have a split routine that works well for you, by all means stay with it. For example, if you're on the popular four-day split where you train two days on, one day off, you'll get great results on 8 sets of 8. With this type of split, you can perform seven or eight exercises for 8 sets of 8 reps and fit it all inside of forty-five minutes. If you are on a two or three day split as Vince often recommended, you may have time for only one or two exercises per muscle group, each performed for 8 sets of 8. The sample routine I've outlined is based on a four day split. 8 sets of 8 is a little known and very misunderstood program. This is partly because Vince never explained it clearly in great detail- not even in his famous mail order courses. Even when fully understood, most people will never even attempt this type of training because it seems like too much volume and the weights seem too light to get anything out of it. Too bad for them! The real reason most people never finish a full cycle of 8 sets of 8 is because it's too damn hard! 8 sets of 8 reps performed in five minutes for a large muscle group can test the grit of the toughest bodybuilder. You don't have to agree with all of Vince's teachings to use this program. It's natural to resist concepts that are so radical. Vince was quite used to it. Nearly all of Vince's ideas met with a certain degree of skepticism initially, yet eventually - sometimes two or three decades later - many of his methods became accepted as standard bodybuilding truths. When questioned, Vince advised, "If in doubt, try these concepts and try others. Results count. Examine. Test. Then make up your own mind. The secret to success is to believe that the course I give will work and it will. If you have doubts, you will find it won't work." Regardless of whether you think Vince was the greatest trainer of all time or just a crusty old curmudgeon, I urge you to give this "honest workout" an "honest" try. Tom Venuto is an NSCA-certified personal trainer, certified strength and conditioning specialist, lifetime natural bodybuilder, and author of the #1 best-selling e-book "Burn the Fat, Feed The Muscle" (BFFM).